IHI Care Services provides a high quality, compassionate and sympathetic Home Care Service for individuals with physical and mental disabilities. Helping and supporting them to live in their own homes with dignity, comfort and peace of mind. Our staff have worked in various fields of care for many years and are fully trained by professional accredited trainers commissioned by IHI Care Services solely for the purpose of providing training using the latest training techniques. This adds and enhances the level of care we provide and the manner in which we provide it. You or your loved ones will be in capable hands. As our clients' care requirements are individual and specific to them, we ensure that the care and support we provide fully meet these very individual and specific needs. 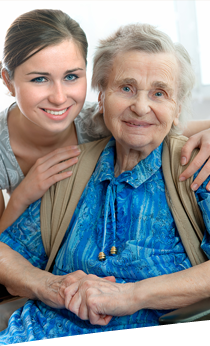 As clients' care needs change over time, we evolve the care and support we provide accordingly.